Estrea - "Science & Nature in Harmony"
I had never heard of Estrea Skin Care before they contacted me - and that's because the company started over in Europe. This is the first time Estrea is available in the United States. There are a number of products that are offered by Estrea - 12 cleansing & moisturizing products for the body. The most popular product are the hand lotions & creams - finger nail growth has been increased. Estrea uses only the best ingredients in their products - aloe vera, chestnut, citrus extracts, coffee, collagen, olive oil, and Vitamins A, C, E, and F. The combination of these ingredients leaves you smelling fresh and beautiful! 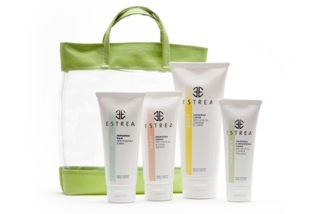 I am always on the hunt for decent lotions - I am happy & blessed that Estrea found me! I am quite happy with how well the lotions hydrated my skin. Disclaimer: Estrea contacted me to review the product. I was not compensated for a particular opinion/review - the opinion is 100% my own. I'll have to enter this one at home, the giveaway program is blocked by work! darn them! This sounds awesome! My current favorite lotion is by Arbonne. I will definitely have to check this out! What is your current favorite type of lotion? Well right now since, where I live, is just starting to get into the summer season. I love using Jergens natural glow body lotion. I am trying to make it look like that I am not so white (haha what a joke!). I would like to have some glow. Anyways, I would love to find some other lotion to use during year that would help make my skin beautiful, more than it already is, haha. Favorite lotion... lately I've been using Palmers Cocoa Butter! Hmmm what do I want to see more of.... giveaways ;) Kidding! I've been in love with hand cream I got in my Julep Maven box this month. It smells so good and it has SPF in it. Hello swap partner! I love hand lotion, esp body creams from B&BW! I would love to see a post on "the most effective websites that you use to make money"
I don't have a favorite kind of lotion ... but I especially like ones that moisturize without making me feel greasy!!!! 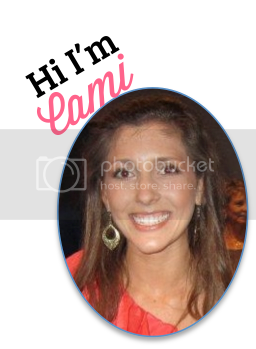 awesome review and giveaway cami! i love that they use coffee in their products! i use a bunch of different lotions at the moment. my favorite is actually givenchy...usually perfume lotions don't work too well, but this one always lasts long. i hope you had a nice night, pretty lady!! I use bath and body works lotion! I have a bottle of the old school brown sugar and fig in my locker at Old Navy to use before, during, and after work. I have a bottle of sweetpea and several bottles of Paris Amor lying around. I love the body cream. I also use Extreme Repair by Beauti-Control. That stuff works miracles, I tell ya! I would love to see like a mini devo once a week or something. Like, a reflection of a particular bible reading. Hm...would you be interested in doing this with me once a week? I can choose a bible verse or passage each week and we write our own reflections and link to each other's blogs. It offers people different points of view, but also gets the word of God out there. No big deal if you don't want to join in. :-) I think Vance would be game, too. (Also anyone else who wants to join in is totally welcome. It could be a linky party or something!) Thoughts? Oops, I messed up. I just wanted to let you know that I entered via the Google + option thinking that it was for GFC. =/ I don't have Google +! Yes to carrots is my fav! More about your relationship! It seems like you're such a wonderful and sucessful couple and I'd love to know more. I love Vaseline brand jelly lotion! Crabtree & Evelyn is my favorite lotions! Recipe's are always one of my favorite topics, would love more of them, thank you! I going to start operating a weblog about few periods later. So, I think to research more blogs to improve my operating a weblog methods on firstdayofmylife.org.I think that it website is one of the primary needs of person & is type for important any growth.Really I like this website . I also research your posting. I like to talk about my What makes our anti aging skin care cream special? OurAnti aging skin care cream draws from nature and multi-ethnic wisdom. Experience our skin renewing cream today. This luxurious anti-aging wrinkle lotion is made with multi-ethnical wisdom to provide effective epidermis rejuvenation. This epidermis renewing lotion features a blend of botanicals, anti-oxidants, minerals, body fat, and aminoacids, which nourish the cells to promote natural production of collagen and elastin.